The Supreme Court on Monday issued notice on a petition filed by the Centre for Public Interest Litigation (CPIL), challenging two amendments to the Prevention of Corruption Act, which they allege dilute the law. The notice, returnable in six weeks’ time, was issued by a bench led by Chief Justice of India Ranjan Gogoi. 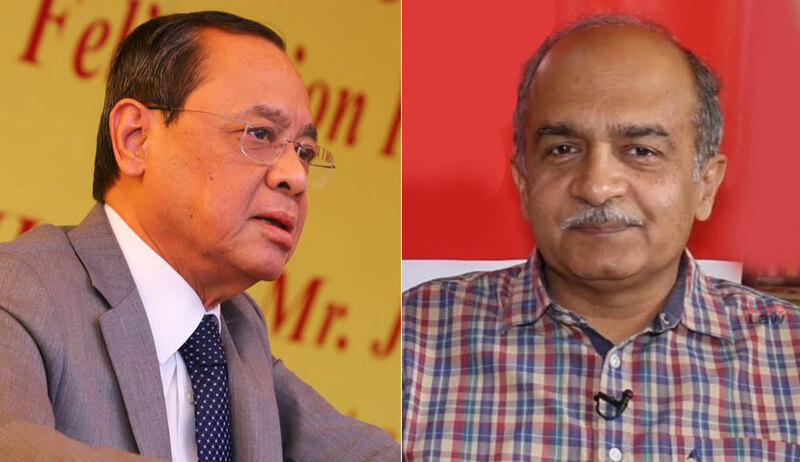 CPIL was represented by Advocate Prashant Bhushan. The petition impugns Section 17A(1) of the Act, which requires prior permission for investigation of corruption offences from the government. It asserts that the amendment is the third attempt by the Centre to introduce a provision which has already been held to be unconstitutional by the Apex Court twice. “This Hon’ble Court, in the case of Vineet Narain Vs Union of India (1998) 1 SCC, 226), was pleased to quash Single Directive No.4.7 (3), which was introduced by way of an executive order. In order to bypass the said judgment, the same protection was reintroduced by way of a statutory amendment in the Central Vigilance Act in the form of Section 6 A of the Delhi Special Police Establishment Act (DSPE Act). However, the said reintroduction of the Single Directive in the form of statute has also been declared ultra vires by this Hon’ble Court in its constitution bench judgment, reported in (2014) 8 SCC 682,” it elaborates. The impugned amendment, it says, reintroduces the Single Directive No.4.7 (3) and subsequent provision, Section 6A of the DSPE Act. The two provisions required, in the cases of serving public servants of the Central Government of the level of Joint Secretary and above, prior sanction from the Central Government for conducting any investigation/inquiry of offences relating to the PC Act. The impugned amendment, it submits, not just re-introduces the same protection, but also expands its scope to provide protection to public servants at all levels, whether in service or retired, from inquiry/enquiry/investigation relating to offences under the Act. “The Union Government has tried to take advantage of the fact that one of the main grounds for declaring Section 6A of the DSPE Act unconstitutional was violation of Article 14 because this Hon’ble Court found the classification between senior officers and junior officers for the purpose of providing protection from investigation unreasonable. The same protection has been brought by way of the latest amendment in the PC Act by doing away this classification and providing protection from investigation/inquiry/enquiry to all public servants,” the petition submits. It also challenges removal of Section 13 (1) (d) (ii) (criminal misconduct) from the Prevention of Corruption Act, which made it an offence for a public servant to abuse his position and thereby give some pecuniary or other advantage to anyone else. Therefore, earlier, the abuse of position by a public servant resulting in obtaining anything valuable or pecuniary advantage for any person (including himself) was adequate to prove the offence of criminal misconduct. There was no need to prove bribery or quid pro-quo. “It is the provision of section 13(1)(d)(ii) that is the very essence of saving the country from the evil of corruption and realization of Preambular ideals on equality and economic justice. It is the heart of the Prevention of Corruption Act. It has been under attack for more than a decade by the decision makers which includes the political parties irrespective of their ideologies and stated position of opposing corruption. Part of the bureaucracy too has become collaborative to serve their political masters. It is not surprising that there was bipartisan support for the amendment as the political parties in power exercise discretion which fall foul of the provision section 13(1)(d) while favouring their support group or those who seek favours for a quid pro. The amendment is self-serving and clearly in violation of Article 21 of the Constitution,” it contends. With such assertions, it demands declaration of the two provisions as unconstitutional, and restoration of the original Section 13 (1) (d) (ii) of the Act.